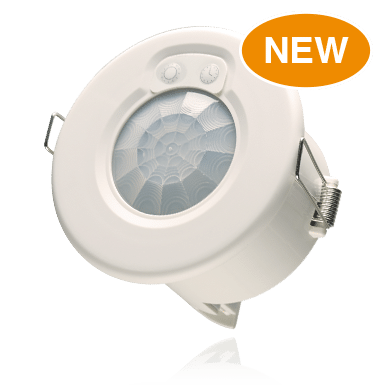 Green-i low profile, flush mounted PIR movement sensor with easy push button set up, provides auto on/auto off switching of lighting, heating or ventilation loads. Switches any type of load, works with any type of lamp. 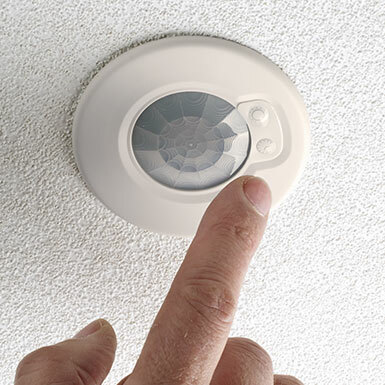 Includes a PIR movement sensor and lux level sensor. See ‘Description’ tab below for more info and ‘Support’ tab for user guide. Green-i low profile, flush mounted PIR movement sensor with easy push button set up, provides auto on/auto off switching. 6m detection area at 2.8m mounting height. 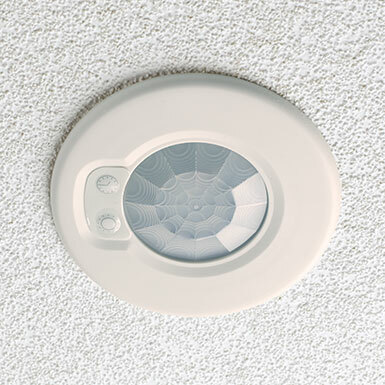 This detector has both a PIR movement sensor and lux level sensor. 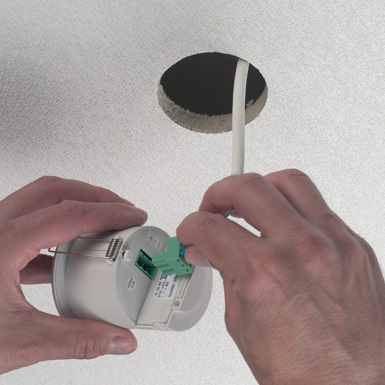 Although designed as a lighting control sensor can also be used for control of heating or ventilation loads. See ‘Support’ tab for user guide.